Sometimes what scares you the most are concrete things that scared you as a child. Sometimes experiences you'd think would have left you scarred inexplicably don't. The human psyche is a rich and strange land. I'm allergic to spider bites. We discovered this when I was bitten on the hand at the age of five. I remember how the pain kept growing, and how my hand swelled until I couldn't use it, and how I had to see the doctor for treatment. A later bite on my back left a scar and taught me the meaning of the verb, to lance. Yet I'm not afraid of spiders. I loved the book Charlotte's Web. I tolerate one or two on the outside of the house in hopes they'll catch mosquitoes and flies. 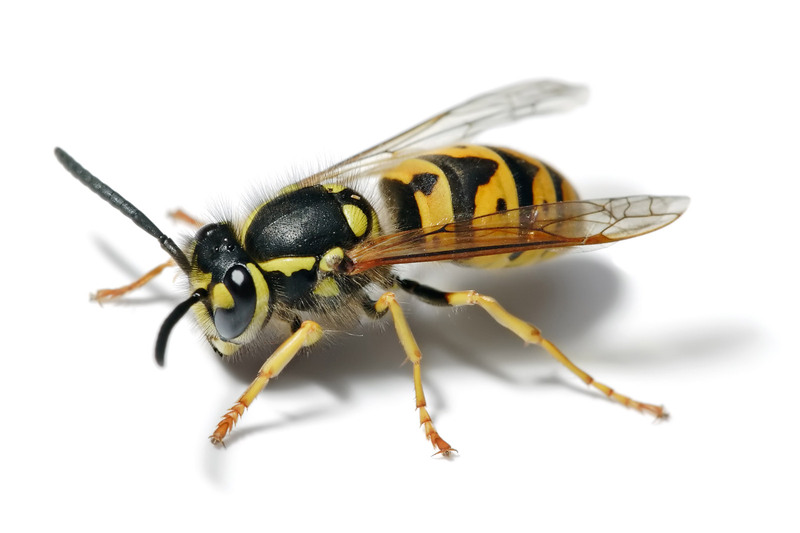 Wasps, on the other hand, I am afraid of, although I'm not allergic to them. Go figure! Last week I was staying with my ninety-year-old mother during a storm. Guess who showed up inside the house? Yep, Wasps. Plural. Over a three-day period. They should have been dead or hibernating or hiding out in their nest - whatever wasps do in the winter - but instead, they kept appearing inside the house. They did seem sluggish, though - thank goodness! Initially, Mom found one crawling on the hall floor one morning. Imagine her surprise! Then she spotted one on the edge of the bathroom waste basket. I later found one in the bathroom sink. At that point,we started looking for more. There were five or six behind the blinds in the living room window. That's when Mom realized how they'd gotten into the house. Weather forecasters had predicted very high winds. I 'd walked around the house and yard, putting anything that might blow inside the garage. But I forgot the pillows on the deck swing. I went out the back door to get them and spotted a birdhouse made of bark on the deck. I snatched that up, too. It hardly weighed anything - definitely might blow away. Unfortunately I stowed the pillows and the birdhouse on the floor behind Mom's recliner. Sure enough, wasps had built a cozy nest inside the birdhouse! The warm house must have awakened them from their winter sleep. Mom put the birdhouse back outside. We breathed a sigh of relief. Next morning, there were two more wasps at the living room window. That night one was buzzing around the lamp. After searching the bedrooms for insect interlopers, we left the light on in the living room and shut our bedroom doors hoping any that remained would "go towards the light." Apparently they did. We found a few more near the window on the third day. I, for one, am afraid of things that go buzz in the night! Sarah Raplee writes paranormal romance featuring underdogs, outsiders and survivors.She has published stories in two anthologies. 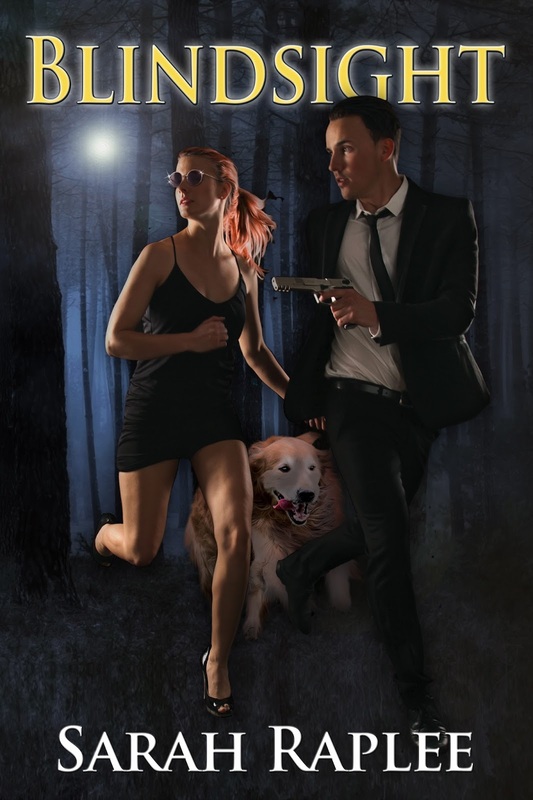 Her first novel, BLINDSIGHT, Book1 of the Psychic Agent Series, will be available soon from Windtree Press. I had to zap a wasps nest inside our cavity wall recently. They weren't bothering us - I don't mind wasps as they predate on garden pests and I approve of that - but they were going into our neighbour's bathroom en masse - attracted by the light every morning opposite their nest. I felt pretty bad about killing them - another month and they all die for the winter anyway except the queen - but I couldn't let them be a nuisance to our neighbour, and we blocked all the holes to stop any squatting next year. In three days of shinning up a ladder to almost roof height, spraying them and filling holes, only one tried to sting me, which bizarrely made me feel worse about destroying them. 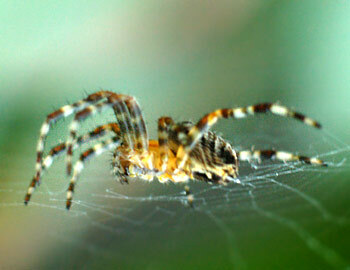 They are aggressive, though, and the fact just one can sting you several times is good reason to be wary of them. I *am* afraid of spiders and had to have hypnotherapy to stop me screaming down the house whenever I see one. Being allergic would at least validate my fear! I felt terribly guilty about killing the wasps, as I'd (unintentionally) brought them into the house! But I had to protect my mother, so I did what had to be done. Intellectually I know wasps are part of the balance of nature, so I leave them alone unless I feel someone is in danger. But I tense up whenever there's one around! Wasps bite, not sting. The venom paralyzes their victims. They then save the paralyzed victim until they are hungry - they like to eat fresh meat. I found out I'm allergic to wasps when one came out of the wood (I was staying at a friend's log house) during the night and was in my slipper when I got up. End up in Urgent Care because of the pain, the swollen foot, the paralyzed little toe and the one next to it on my right foot. The redness encompassed my right foot and totally freaked me out. Cure? Benedryl - I was then concerned about poisoning myself on that or perhaps overdosing? It took over a week before my foot was back to normal and I could put my shoe on and also walk on it. Spiders? I just get a large (think at least $.50 size, hard, red, hot and itching lump that also responds well to Benedryl. Some mosquitoes leave hardly a mark much less an itch. Others? a reaction similar to spiders. Not sure I'm afraid of them but I sure am cautious around both wasps and spiders as well as other things that go buzz. Your wasp bite reaction is similar to my spider bite reaction, Judith! Thank heavens for Benadryl.